A properly designed exhaust system is critical to engine performance. 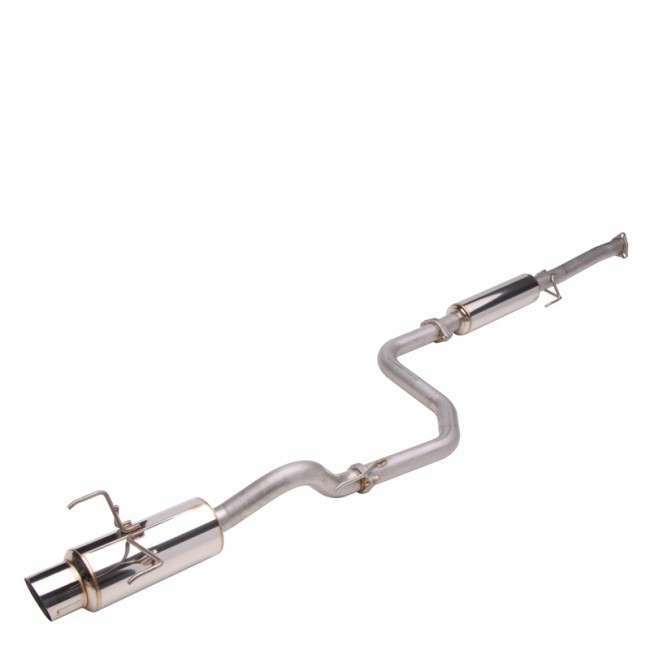 Skunk2’s 60mm MegaPower Exhaust system for the '92-'95 Civic Si hatchback was developed with this in mind and is based off of more than 15 years’ worth of racing experience. Dyno-proven for maximum horsepower, MegaPower cat-back systems are constructed of T-304 stainless steel, are robotically TIG welded, and feature CNC mandrel bends for a precise fit. Featuring Japanese-spec, Super N1 styling, MegaPower Exhaust systems generate more horsepower by optimizing engine airflow and volume through carefully selected, application-specific tubing lengths and diameters and increased wave scavenging effects for more horsepower. CNC mandrel bending allows for a constant tubing diameter throughout the bend, which results in precise fitment as well as improved exhaust gas flow. Each system is fitted with a resonator, includes stainless steel flanges, and is finished off with a straight-through, low-restriction racing muffler for uninterrupted flow. Each fully polished muffler is mated to a 110mm polished tip with its own acid-etched MegaPower badge and serialized nameplate. A Skunk2 removable silencer and all necessary hardware are also included. Skunk2’s MegaPower Exhaust lineup is based off of the same systems we custom build for our road racing and time attack vehicles. MegaPower Exhaust systems offer more performance, better build-quality, and the ultimate sound when compared to comparably priced systems.